After graduating from the University of Missouri-Rolla and returning to his hometown, Mike Minghi became a Christian as an adult while attending Parkland Chapel in Farmington, Missouri. Having been deeply impacted by verse by verse teaching through the Bible in such a short time, Mike began to feel a call into the ministry when he began to see a need for a bible study geared for the youth of Parkland Chapel. He served as a youth leader there for about five years. It was during this time that Mike met and married his wife, Kelly. During the season of teaching the youth at Parkland Chapel, Mike was invited to attend a 2 year training course started by a couple local Pastors, called “The Kaleo Project”, where they were equipping men who felt the call to be godly leaders, Church planters, and Bible teachers. During that time, there was much prayer concerning the planting of bible-teaching churches in St. Francois county and the surrounding counties. As the men continued to pray, an open door was revealed in the Arcadia Valley. Mike was asked to consider being a part of helping with the teaching bi-weekly. In March of 2013 a Bible study was started on Sunday nights at Bobby Powell’s Arcadia Valley Jamboree in Ironton (now “The Woods” coffee shop and music venue). While holding services every Sunday night while still living in Farmington, MO; God confirmed that He was calling Mike and his wife to move to the Arcadia Valley in order to be a part of the community He had called them to serve. 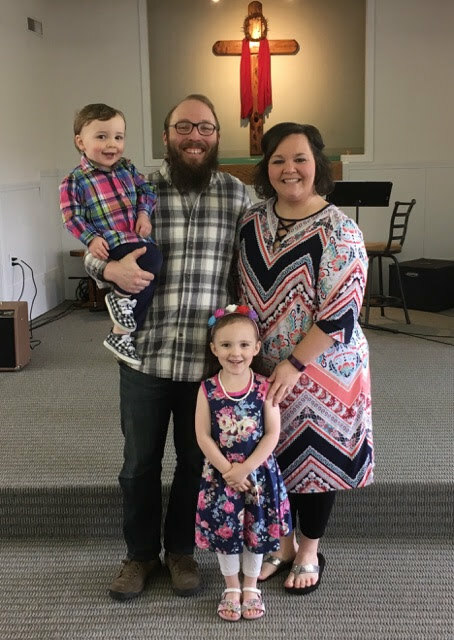 In September of 2013, through prayer and the Word, God confirmed that it was time to move when He sold their house in Farmington and provided a house for them in Ironton on the exact same day. Later as the Church began to need their own space for more than just Sunday nights, they began to rent and meet at 534 N Main St in a storefront next to Napa Auto Parts. As God grew the church we looked at possible locations to purchase and every time God shut the door. We did not know that He was already lining up a place that would fit our need perfectly and fit our budget. In December of 2016, God gave us the opportunity to purchase our current location at 314 N Tilden St in Pilot Knob where we now gather! And now the story continues… and we would love for YOU to join us and become a part of God’s big story that He is unfolding through the study of His Word and the transformation of our ordinary lives into lives that have been set apart from the world in order to bring glory and honor to the name of Jesus! © 2019 Arcadia Valley Chapel. All Rights Reserved.